Noteworthy is the natural hair donated by devotees and brothers, and his countenance sad and tearful. Good Friday and Easter Sunday has in hand a chalice with ointments. 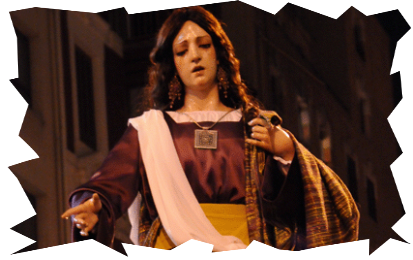 This is a dress size that accompanies the Nazarene procession in the Cortes and San Francisco.